For the last couple of years, around the start of the playoffs, I’ve done a “Stanley Cup Anniversaries” story. (If you’re curious, you can check out the links to 2015 and 2016.) I’m a little late this year, and this time I’m choosing to focus on just a single quirky anniversary story. This one is from 80 years ago in 1937. The story begins in the spring of 1936, when the Detroit Red Wings became the last of the so-called “Original Six” teams to win the Stanley Cup. 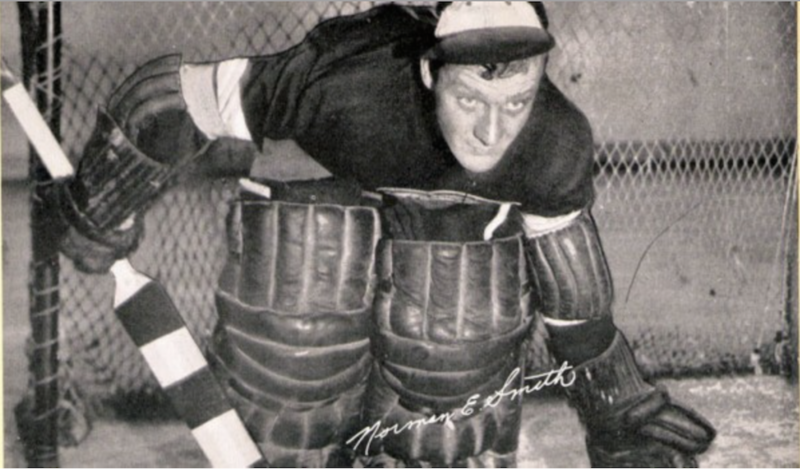 Goalie Normie Smith (who I mentioned a few weeks back in Marathon Men … And Kids Too) was a Red Wings hero that season. According to a report in the Detroit Free Press (which was picked up by a few other papers) on April 17, 1937, Smith was friendly with an ex-Canadian couple living in Detroit, a Mrs. Ida Lefleur and her husband, who were expecting a baby shortly after the Red Wings’ 1936 championship. was never the same after his shoulder injury in the 1937 playoffs. As the story goes, the boy was born on April 15, 1936 and was named Stanley Lefleur. And as it turned out, the baby’s first birthday in 1937 really did coincide with Game 5 of that year’s best-of-five Stanley Cup Final … between the Rangers and Normie Smith’s Red Wings. 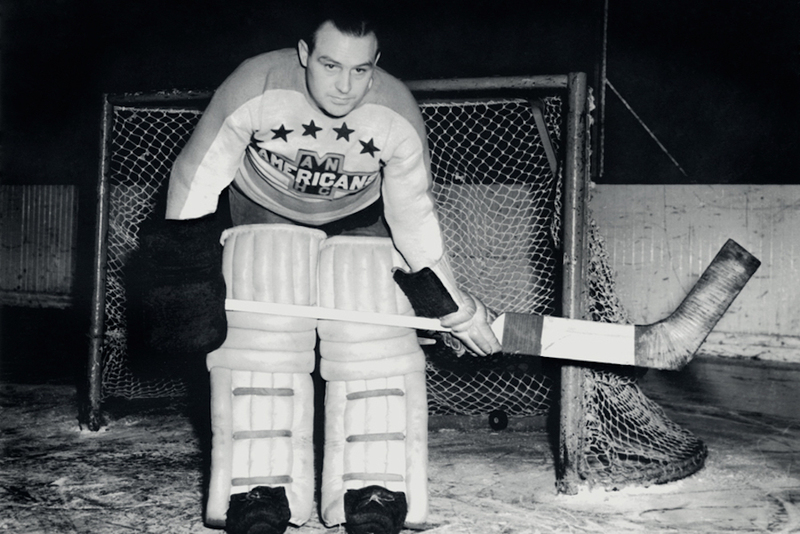 Robertson to the New York Americans shortly after the 1937 Stanley Cup. This version of the story appeared in the Winnipeg Tribune on April 17, 1937. It’s a silly story, really, but one told with such detail that I certainly hoped it was true. 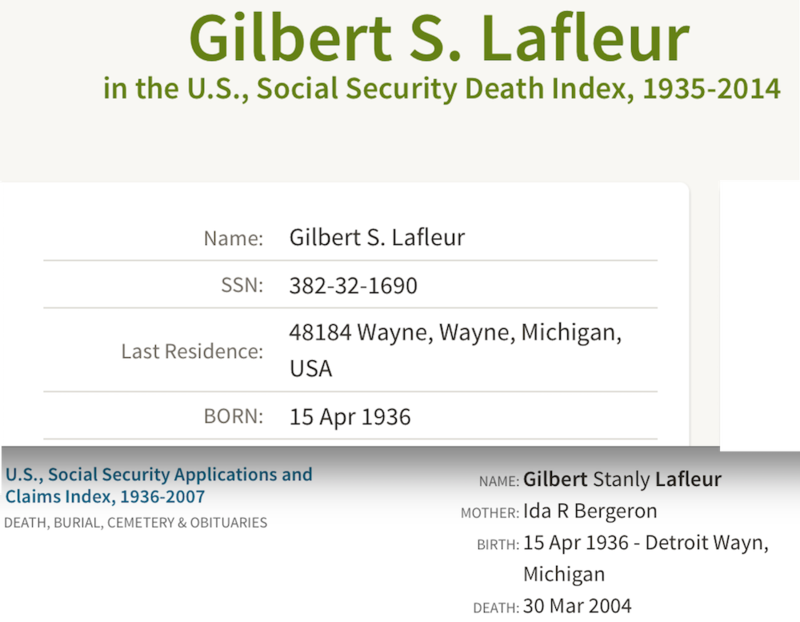 So, imagine my disappointment when I went to Ancestry.com and searched for “Stanley Lefleur” born in “1936” with the mother’s name “Ida” … and found nothing. And enough Social Security records to confirm the names and dates match up. As for the rest, I know that many old-time sportswriters never let the facts get in the way of a good story, but I’m choosing to believe this one is true!